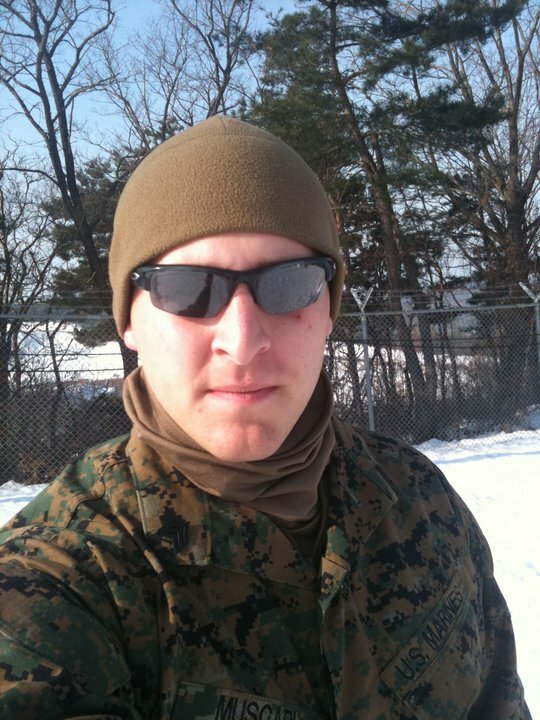 If Matt had not reenlisted with the Marine Corps back in 2009, a few things wouldn't have happened. I wouldn't have quit my job, we wouldn't know what it was like to live in Japan, and Matt wouldn't have ever gotten the chance to be deployed... for the third time... to the third country... in the past year. Maybe it hasn't been his dream of going to Afghanistan, but getting to see the world through month-long deployments isn't too shabby... especially when you get to stay in a 4 star hotel. Unfortunately, he wasn't as lucky this time. As many of you know, Matt was doing a class out in Twentynine Palms, California for 6 weeks. I picked him up at the airport here in Okinawa on Tuesday night (February 15th), and was unexpectedly dropping him right back off to fly to Korea 48 hours later on Thursday night (February 17th). 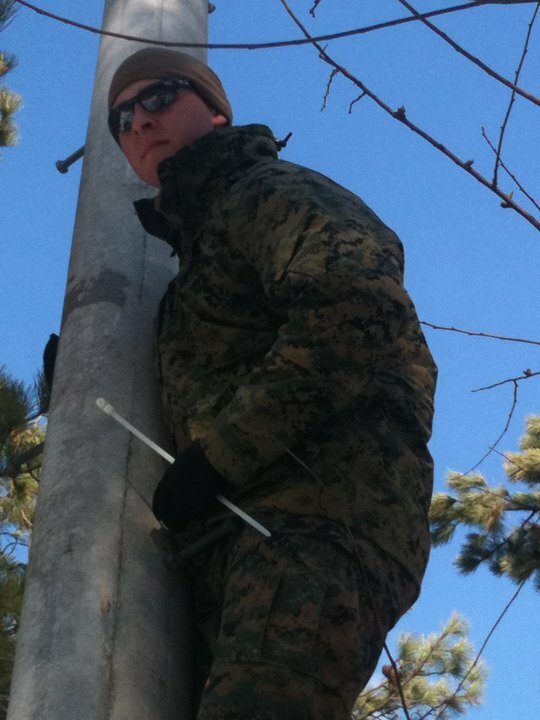 That's the Marine Corps for you. South Korea is great for shopping... I actually had plans for a possible weekend trip to Seoul this summer. However, if you're visiting during the winter, be prepared to dress in layers and winter clothes - it is freezing! (Or so I hear from Matt). 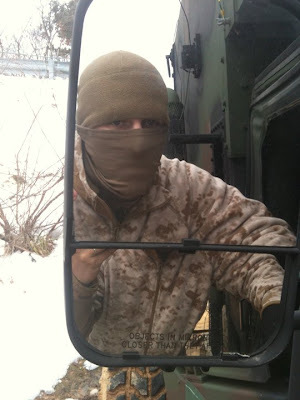 He's been wearing layers upon layers of government-issued cold weather gear, and he is still shivering outside. 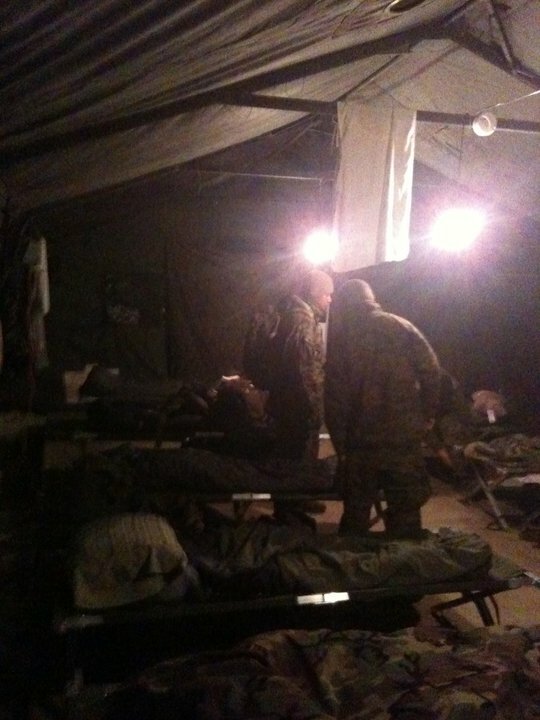 He's been working 16-hour days and sleeping in large tents with about 15 other Marines, all on cots. Lately, he's been so busy at work that he's been eating MRE's (Meals Ready to Eat) instead of getting food from the Chow Hall! There is snow on the ground inside parts of his sleeping tent, and although there is a space-heater, it is apparently not strong enough to ever melt the snow inside the tent (if that gives you an idea of how "warm" it gets). And to get an internet connection, he goes to a spot with a strong signal... outside... in the snow. Any time I get to skype with him, I feel horrible, because he's standing outside freezing while I'm sitting in my nice, warm, comfortable apartment. The pro to all of this: beside the fact that Matt is getting to see yet another new country, he's also finally getting to live like a Marine. This is what they train them for. This is what other Marines before him have endured, and for much longer than one month! 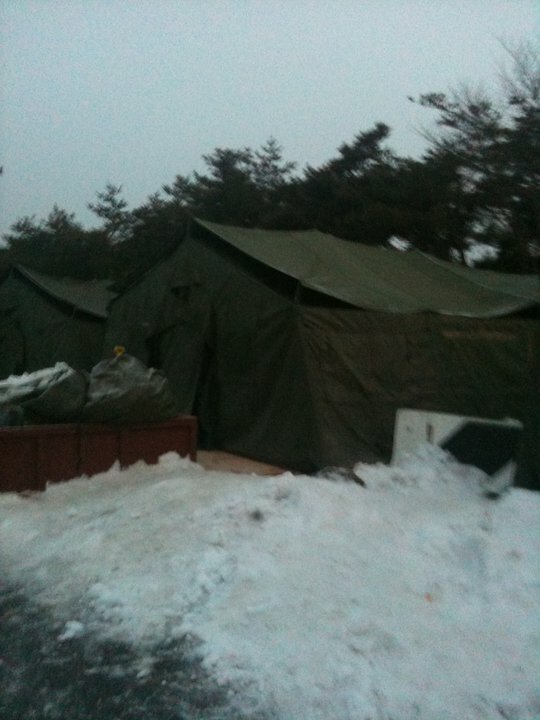 Although I don't think he'll be warm again untill he gets off the plane in Okinawa next month, I know he will be glad he got this experience. Please keep Matt in your prayers!